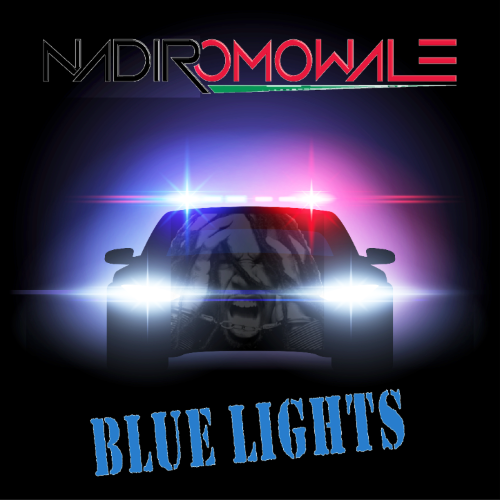 First Listen: Nadir funks it up with a message on "Blue Lights"
(April 30, 2017) -- Working For the Man, J. Nadir Omowale’s 2008 polemical album dropped like a bomb into the political, military and economic upheavals taking place in that year. The urgent and powerful funk of the title track pretty much captured the feelings of every working man and woman at a time when the economy was in free fall, mainly due to the greed and incompetence of the people at the top. The rocking Detroit funk man came back in 2012 with the very good, though less overtly political The Book of Jonah, and in the year 2017, Nadir has returned. A lot transpired – particularly in the fraught relationship between law enforcement and minority communities - between 2012 and 2017, and Nadir has something to say. The manner in which the guitarist, vocalist and songwriter says it is in a tradition of artists who insert messages that can best be described as disturbing or, at the very least thought provoking, into melodies that sound joyous – think Public Enemy’s “Party for the Right To Fight,” a call to revolution that turns the title of a party anthem by The Beastie Boys on its head; or The Boss’s “Glory Days,” a depressing story about a bunch of people who peaked in high school, contained inside an absolutely joyous musical arrangement. To that, Nadir, with a cast that includes fellow Detroiter Amp Fiddler, adds “Blue Lights.” Back in the day that title would conjure up images of a disco and strobe lights and dancers. Nadir drives this imagery home this tune’s bouncy funky bass line and blaring horns as he puts us in his car heading to the party. Once on he’s on the road, the party ends as those blue lights take on a meaning that is decidedly, and often tragically, contemporary. Check it out.